I have a disease that is called sarcoidosis. A lot of people have never heard of sarcoidosis. 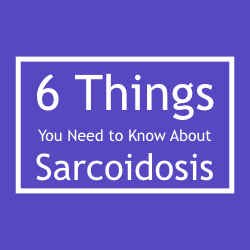 In order to increase awareness, I would like to share six things that you should know about sarcoidosis. Sarcoidosis is an inflammatory disease that can attack many different parts of the body. Even though many online articles will describe it as such, sarcoidosis is not a lung disease. Yes the lungs are one of the most common organs attacked and sarcoidosis is often treated by respirologists, but sarcoidosis can attack many different areas of the body. I have it in my eyes and kidneys, as well as in my lungs. Many people with sarcoidosis go into complete remission soon after diagnosis, or after an initial prednisone treatment. Not everyone goes into full remission. 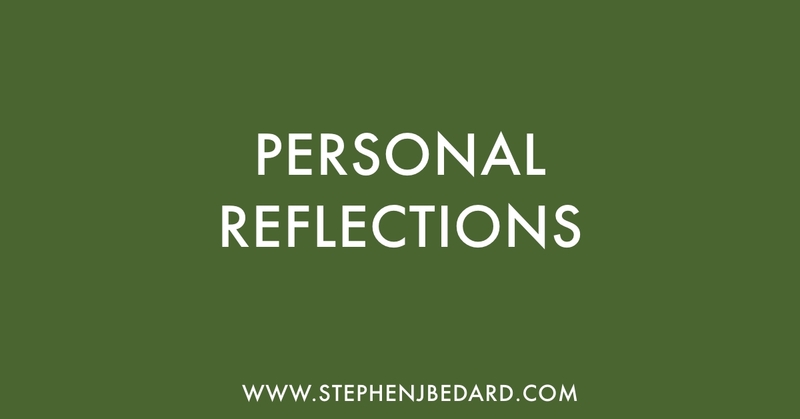 Some people experience symptoms for the rest of their life and others experience flareups periodically for the rest of their life. It is possible to die from sarcoidosis, especially if it gets in the heart or if there is significant damage done to the lungs. Just because a person with sarcoidosis looks healthy, does not mean that they are not suffering from pain and fatigue. Good to hear from you. I’m currently on methotrexate as well. It’s good to connect. I got diagnosed last year I am on methotrexate and a number of pills.. I am just so tired all the time and I feel lost. It’s nice to know there are people to talk to ..
I’m on methotrexate as well and I just woke up from a nap! I have found that the fatigue comes and goes. There are times that it is really hard and then there are weeks when I go without a nap.